From Javier Hernandez to Sergio Aguero, players having a nickname on the back of their shirt is nothing new. 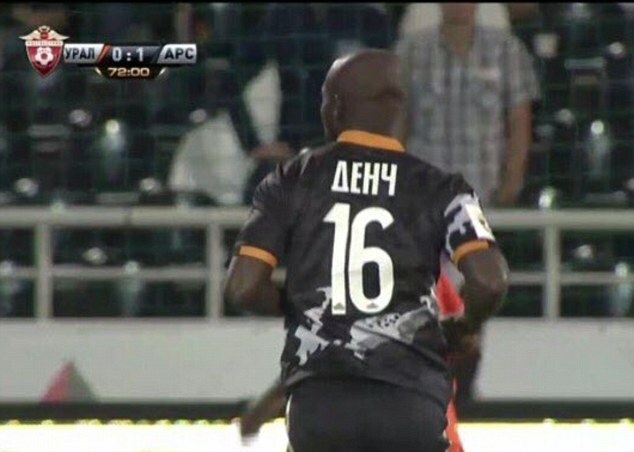 But former Arsenal midfielder Emmanuel Frimpong has taken it a step further, with the Ghanaian international starting life at his new club with his catchphrase ‘Dench’ on his jersey. 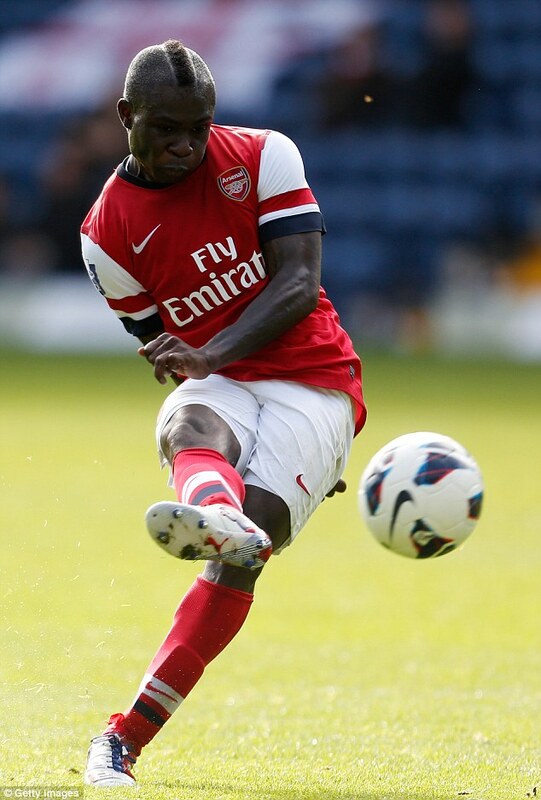 Frimpong, who came through the academy at Arsenal but played just 16 games in all competitions before being released, made his debut for a new club this week. The 24-year-old played in the Russian top flight for Arsenal Tula for the first time, after moving from Ufa at the end of last season, wearing the No 16 and with ‘Dench’ on the back of his shirt. The catchphrase comes from rapper Lethal Bizzle, who refers to Frimpong in his songs and is a close friend of the former Arsenal, now Arsenal Tula, player. 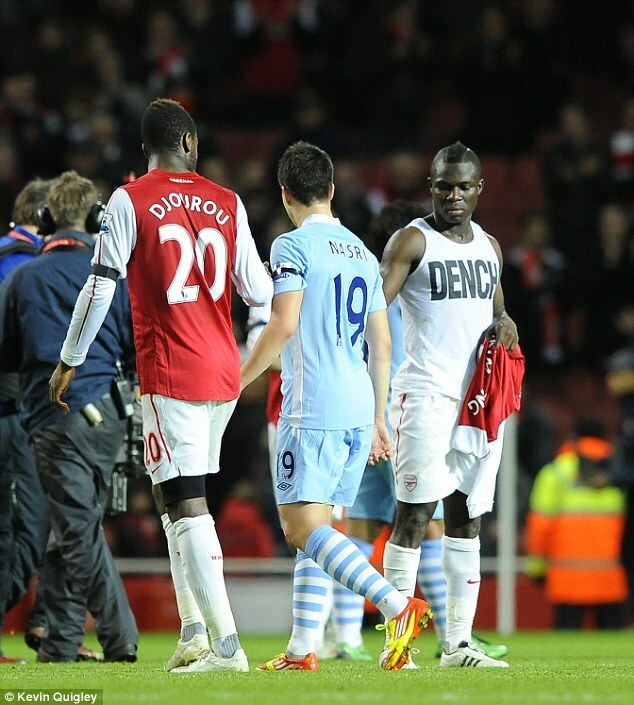 However, despite catching the eye with his choice of shirt, Frimpong failed to have a similar impact with his football. The ex-Gunner was brought off the bench in the 69th minute, but failed to last until the end of the game, the substitute subbed again 20 minutes later, with his side just having conceded in a 1-1 draw.